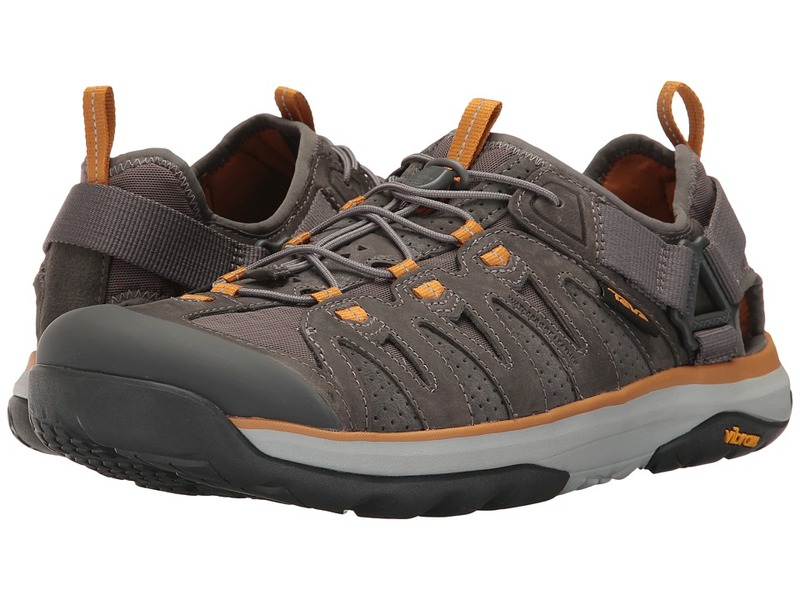 Bring style and function to your next walkabout in the posh design and adventure-seeking performance of the Teva Arrowood Mid WP trail shoe. Waterproof construction helps feet stay dry and protected from outside moisture. Full grain waterproof leather and textile uppers. Lace-up closure. Front and rear pull loops. Padded tongue and collar. Breathable fabric lining offers a great in-shoe feel. Removable PU sockliner. Float-Lite midsole and outsole design provides featherlight, durable underfoot cushioning. Strategically-placed rubber on the outsole delivers reliable traction right where it~s needed. Imported. Measurements: Weight: 13.2 oz Shaft: 4 1 2 in Product measurements were taken using size 9, width D - Medium. Please note that measurements may vary by size. Weight of footwear is based on a single item, not a pair. 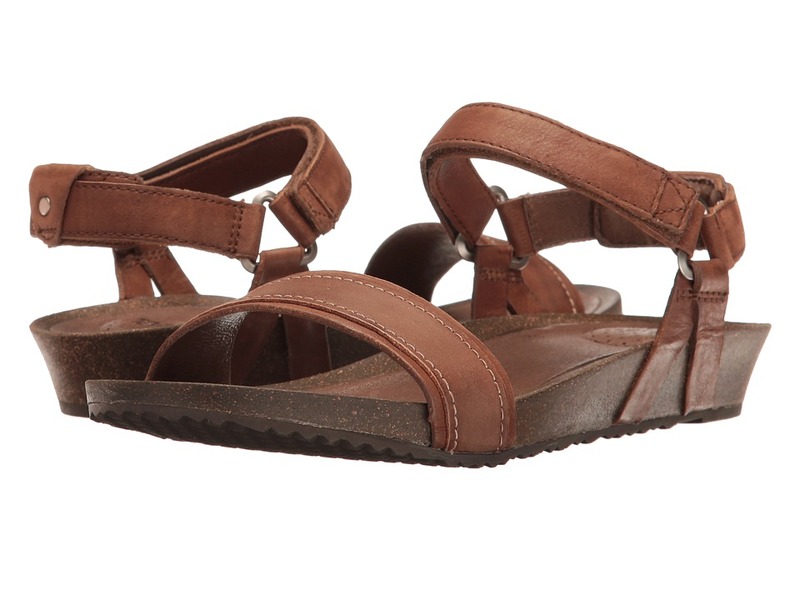 Enjoy the on- and off-road versatility of the Teva Terra Fi Lite Leather sandal. Leather upper. Three adjustable hook-and-loop strap closures allow for an adjustable fit. Comfortable textile lining. Zinc-based, antimicrobial Microban technology helps prevent odors. Molded PU midsole. Cushioned Shoc Pad in the heel absorbs impacting shock. Spider Original rubber outsole. Imported. Measurements: Weight: 8 oz Product measurements were taken using size 9, width B - Medium. Please note that measurements may vary by size. Weight of footwear is based on a single item, not a pair. Posh up your weekend look with the Teva Ysidro Stitch sandal. Leather upper. Adjustable hook-and-loop strap ankle closure. Lux leather-wrapped footbed offers a soft next-to-foot feel. Poron foam footbed pods deliver cushioned comfort. Cork wedge midsole provides daylong underfoot comfort. Rubber outsole. Imported. Measurements: Heel Height: 3 4 in Weight: 7 oz Platform Height: 1 2 in Product measurements were taken using size 8, width B - Medium. Please note that measurements may vary by size. Weight of footwear is based on a single item, not a pair. 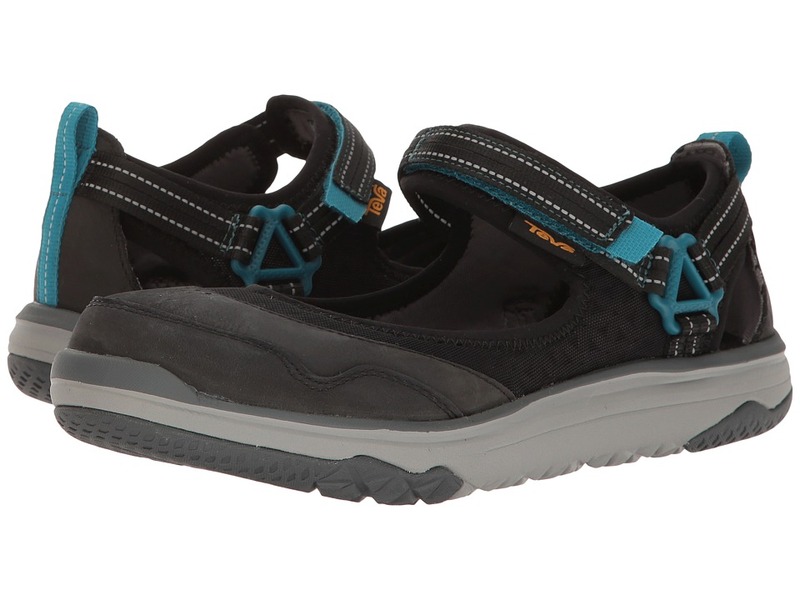 The Teva Terra-Float Active Lace gets you going on your next adventure with its durable upper and tough outsole. Start your new bucket-list and get active today! Nubuck leather and neoprene upper. Bungee closure makes for an easy wear. Pull-on tabs at top and rear for easier on and off wear. Ariaprene lining offers maximum comfort against foot. TPU toe bumper protects toes against rough terrain. FloatLite foam midsole is ultralight and durable. Vibram rubber outsole offers optimal traction on various surfaces. Imported. Measurements: Weight: 14 oz Product measurements were taken using size 12, width D - Medium. Please note that measurements may vary by size. Weight of footwear is based on a single item, not a pair. 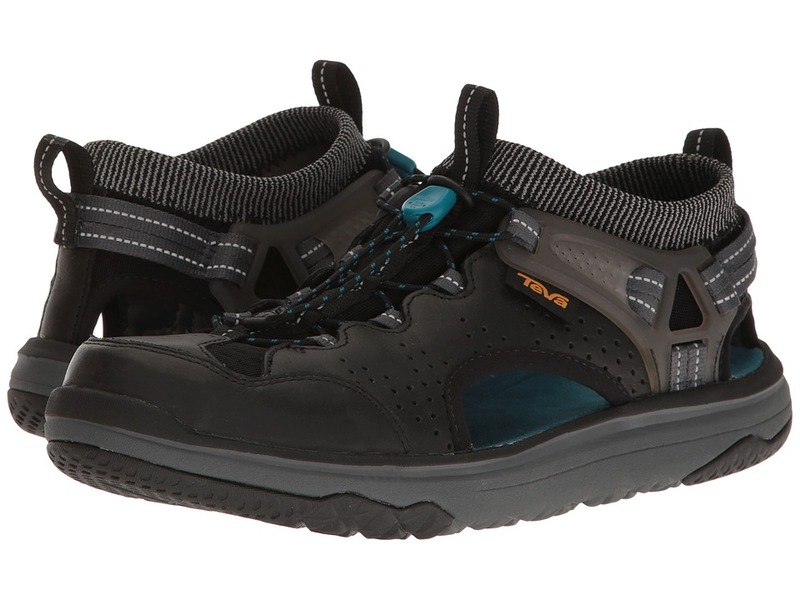 The Teva Terra-Float Active Lace gets you going on your next adventure with its durable upper and tough outsole. Start your new bucket-list and get active today! Nubuck leather and neoprene upper. Bungee closure makes for an easy wear. Pull-on tabs at top and rear for easier on and off wear. Ariaprene lining offers maximum comfort against foot. TPU toe bumper protects toes against rough terrain. FloatLite foam midsole is ultralight and durable. Vibram rubber outsole offers optimal traction on various surfaces. Imported. Measurements: Weight: 9 oz Product measurements were taken using size 7.5, width B - Medium. Please note that measurements may vary by size. Weight of footwear is based on a single item, not a pair. 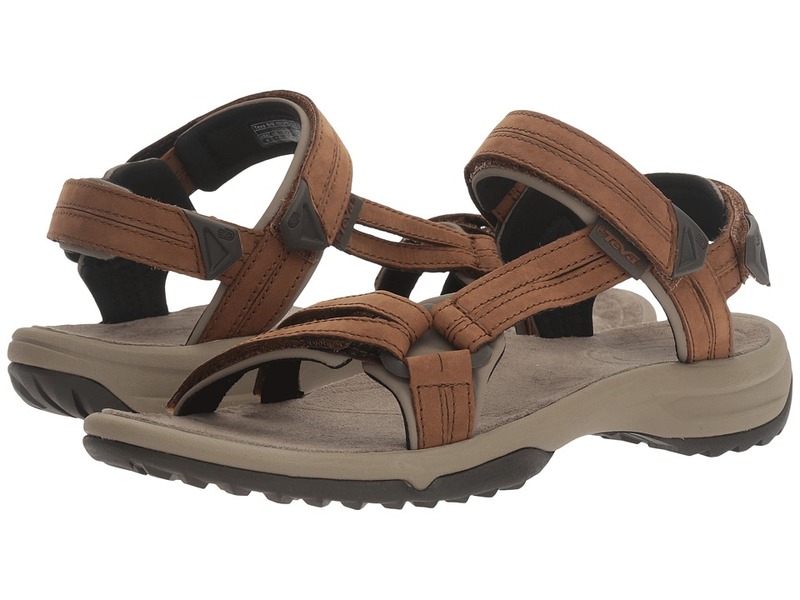 If you~re planning your future travels and are looking for a comfortable shoe that you can wear out and about, look no further than the Teva Terra-Float Travel MJ! 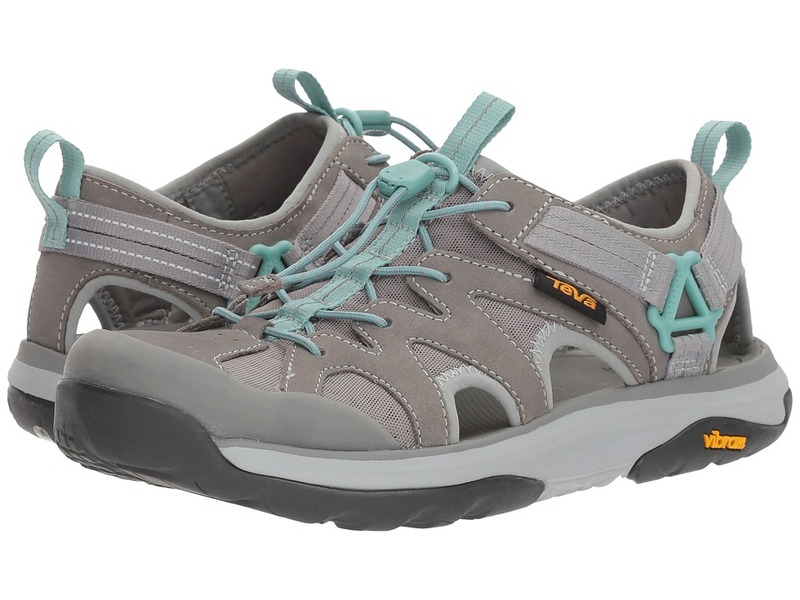 This mary-jane silhouette is designed to keep up during long walks on your newest adventure. 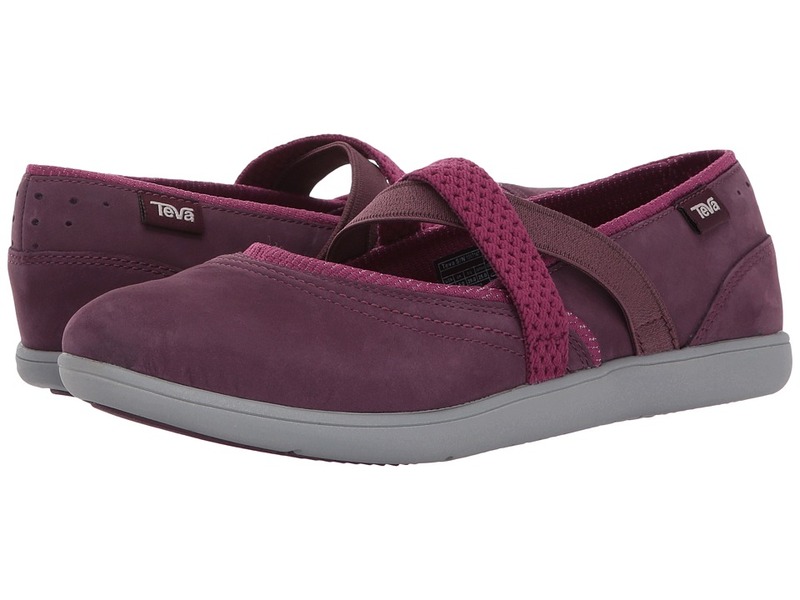 Explore it all with Teva! Waterproof nubuck leather and neoprene upper with perforations allow water to flow in and out. Mary jane silhouette. Single hook-and-loop strap. Pull-on tab at rear for easier on-and-off wear. Ariaprene lining offers maximum comfort against foot. TPU toe bumper protects toes against rough terrain. FloatLite foam midsole is ultralight and durable. Vibram rubber outsole offers optimal traction on various surfaces. Imported. Measurements: Weight: 8 oz Product measurements were taken using size 8.5, width B - Medium. Please note that measurements may vary by size. Weight of footwear is based on a single item, not a pair. Advance towards your next adventure with a shoe that can handle it all! With a waterproof upper, tough outsole, and soft lining, the Terra-Float Travel Lace can take you through valleys, riverbanks, mountainous trails and slick terrains. 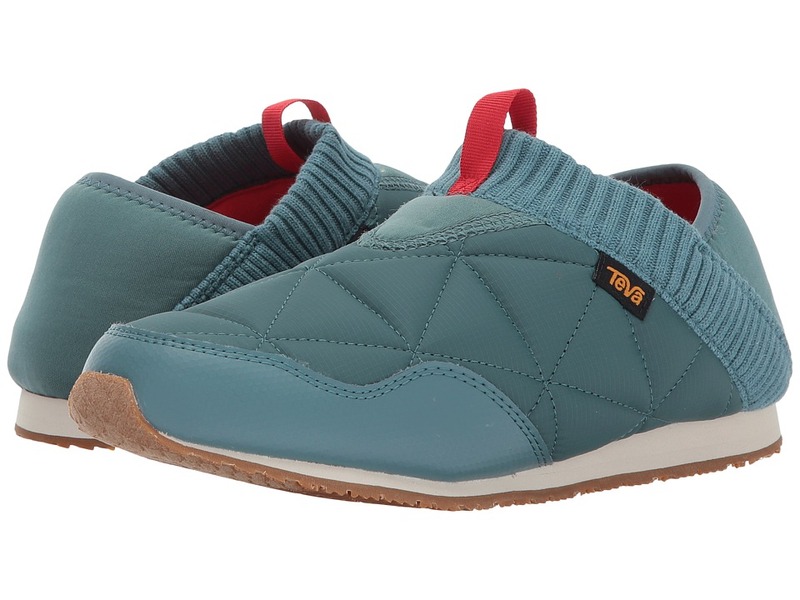 Stay on land or sea with Teva! Waterproof leather and neoprene upper with perforations allow water to flow in and out. Lace-up with bungee closure. Pull-on tabs at top and rear for easier on and off wear. Sock-like wrap holds feet in place. Ariaprene lining offers maximum comfort against foot. TPU toe bumper protects toes against rough terrain. FloatLite foam midsole is ultralight and durable. Vibram rubber outsole offers optimal traction on various surfaces. Imported. Measurements: Weight: 8 oz Product measurements were taken using size 7.5, width B - Medium. Please note that measurements may vary by size. Weight of footwear is based on a single item, not a pair. 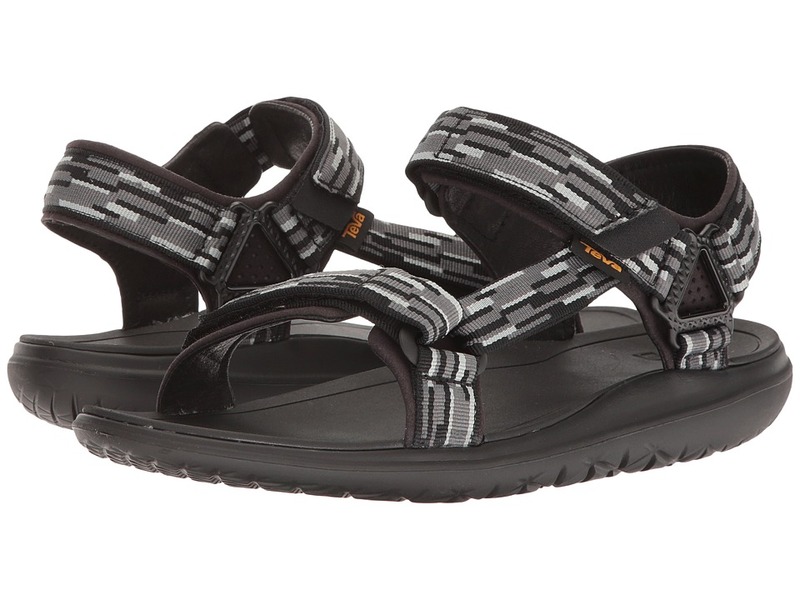 Spend the day lakeside in the versatile performance and comfort of the Teva Terra-Float Universal 2.0 sandal. Water-ready, quick-drying polyester webbing upper. Two adjustable hook-and-loop strap closures allow for a custom fit. Supple pig skin lining offers a great next-to-skin feel. EVA footbed supplies daylong cushioning. Float-Lite outsole delivers featherlight durability. Imported. Measurements: Weight: 7 oz Product measurements were taken using size 9.5, width D - Medium. Please note that measurements may vary by size. Weight of footwear is based on a single item, not a pair. 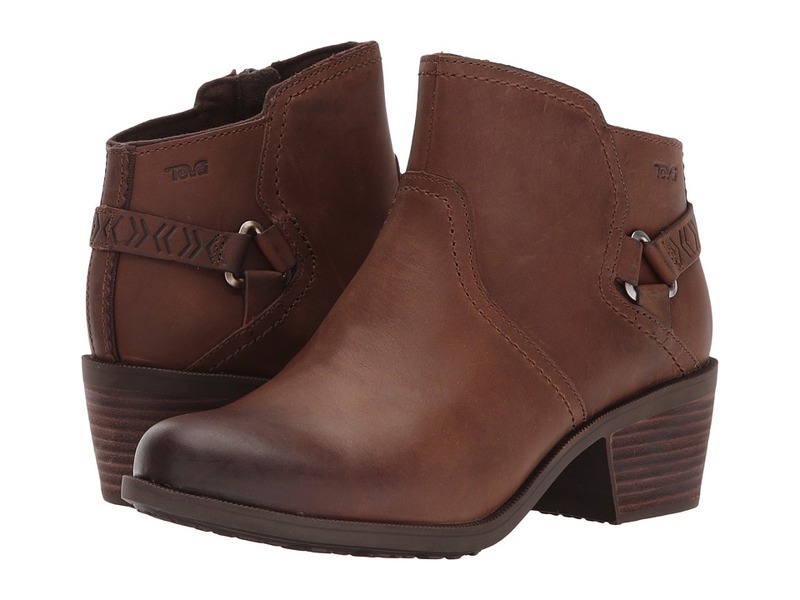 Deluxe from top to toe, the Teva De La Vina Dos Tall boot combines amazing style with go-anywhere comfort! Tall boot silhouette. Waterproof leather upper. Pig skin lining for a soft and luxurious feel against the skin. PU sockliner and footbed for excellent comfort, recovery, and rebound. Zipper closure for easy on-and-off. Leather welt detailing. Rubber outsole for long-lasting wear. Imported. Measurements: Heel Height: 1 1 4 in Weight: 1 lb 6 oz Circumference: 16 in Shaft: 15 1 2 in Product measurements were taken using size 8, width B - Medium. Please note that measurements may vary by size. Weight of footwear is based on a single item, not a pair. 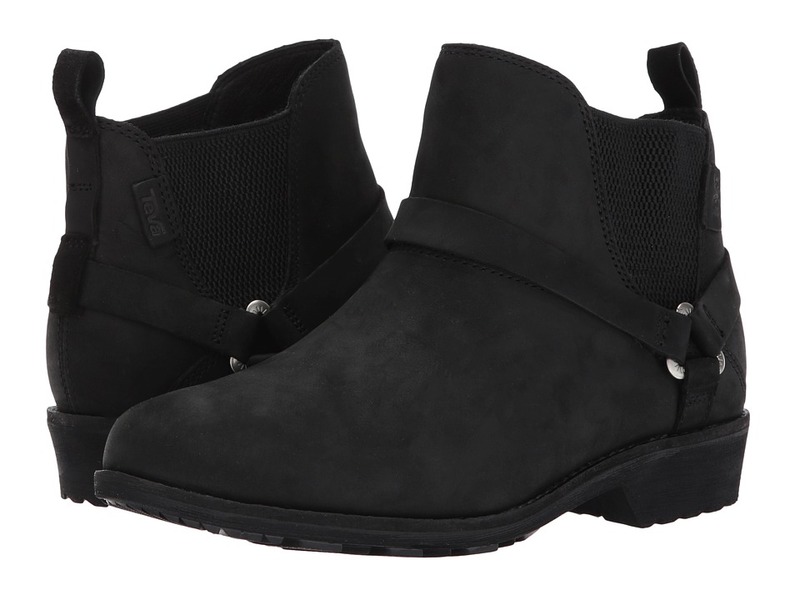 Versatile style is just one of the many attributes of the De La Vina Dos Chelsea boot. Waterproof leather upper. Easy slip-on design with dual side gore panels. Luxurious pigskin lining and canvas linings. Cushioned polyurethane insole. Durable rubber traction outsole. Imported. Measurements: Heel Height: 1 in Weight: 14 oz Shaft: 5 in Platform Height: 1 4 in Product measurements were taken using size 8, width B - Medium. Please note that measurements may vary by size. Weight of footwear is based on a single item, not a pair. 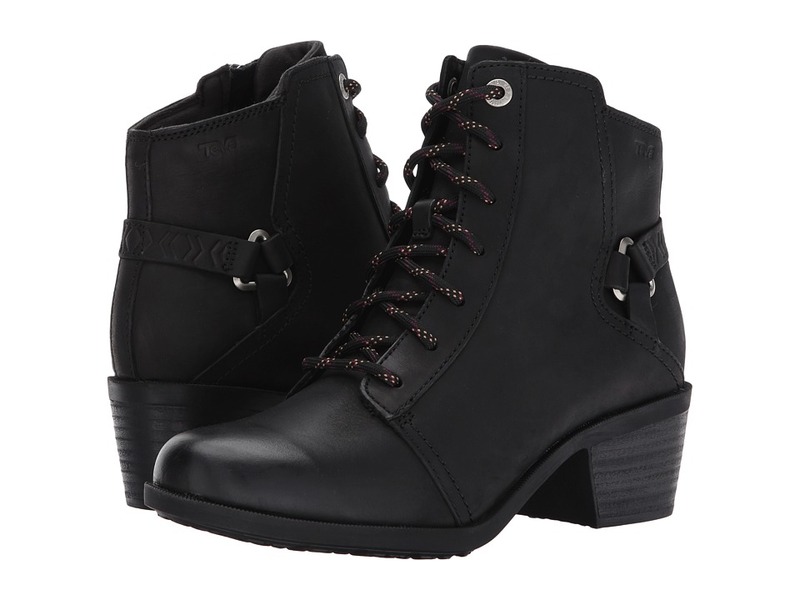 Rock the city streets in the classic, everyday-chic vibes of the Teva Foxy Tall Waterproof boot! Waterproof leather upper boasts a slightly distressed look. Zippered medial closure. Soft canvas lining offers a great next-to-skin feel. Lightly cushioned textile footbed. Leather-wrapped midsole. Buffed toe for a worn-in look. Stacked man-made heel. Rubber outsole with traction pattern. Imported. Measurements: Heel Height: 2 in Weight: 10 oz Circumference: 16 in Shaft: 14 in Product measurements were taken using size 8, width B - Medium. Please note that measurements may vary by size. Weight of footwear is based on a single item, not a pair. The Foxy lace WP boot has both vintage and modern appeal. Rich waterproof leather. Full lace-up closure with a side zipper. Soft suede lining. Cushioned footbed. Stacked leather heel. Durable rubber outsole. Imported. Measurements: Heel Height: 2 in Weight: 1 lb 1 oz Shaft: 5 1 2 in Product measurements were taken using size 7.5, width B - Medium. Please note that measurements may vary by size. Weight of footwear is based on a single item, not a pair. Rock the city streets in the classic, everyday-chic vibes of the Teva Foxy Leather Waterproof boot! Waterproof leather upper boasts a slightly distressed look. Zippered medial closure. Soft textile linings offer a great next-to-skin feel. Lightly cushioned textile footbed. Leather-wrapped midsole. Stacked man-made heel. Rubber outsole with traction pattern. Imported. Measurements: Heel Height: 2 in Weight: 1 lb Circumference: 12 in Shaft: 4 1 2 in Product measurements were taken using size 8, width B - Medium. Please note that measurements may vary by size. Weight of footwear is based on a single item, not a pair. Slip into the easy vibes of the Teva Willow flat. Slip-on design. Premium leather upper. Supple pigskin and canvas linings offers a great next-to-foot feel. Printed textile footbed absorbs shock for daylong comfort. Rubber outsole. Imported. Measurements: Weight: 9 oz Product measurements were taken using size 9, width B - Medium. Please note that measurements may vary by size. Weight of footwear is based on a single item, not a pair. The Ember Moc is built like a sneaker with the comfort of a sleeping bag, so you~ll always be cozy whether you~re camping or traveling! Quilted textile upper. Knitted collar for a comfortable fit. Soft textile interior offers added breathability. Polyurethane footbed for comfort, recovery, and rebound. Collapsible heel allows you to easily slip it on. Durable rubber outsole. Imported. Measurements: Weight: 9 oz Product measurements were taken using size 9, width B - Medium. Please note that measurements may vary by size. Weight of footwear is based on a single item, not a pair. Slipper comfort in a great looking go-anywhere slip-on shoe. Waterproof nubuck upper. Elasticized straps offer a comfortable fit and feel. Breathable mesh lining. Responsive PU sockliner cushions each step. Lightweight EVA foam outsole with rubber traction pods. Imported. Measurements: Weight: 6 oz Product measurements were taken using size 8, width B - Medium. Please note that measurements may vary by size. Weight of footwear is based on a single item, not a pair. 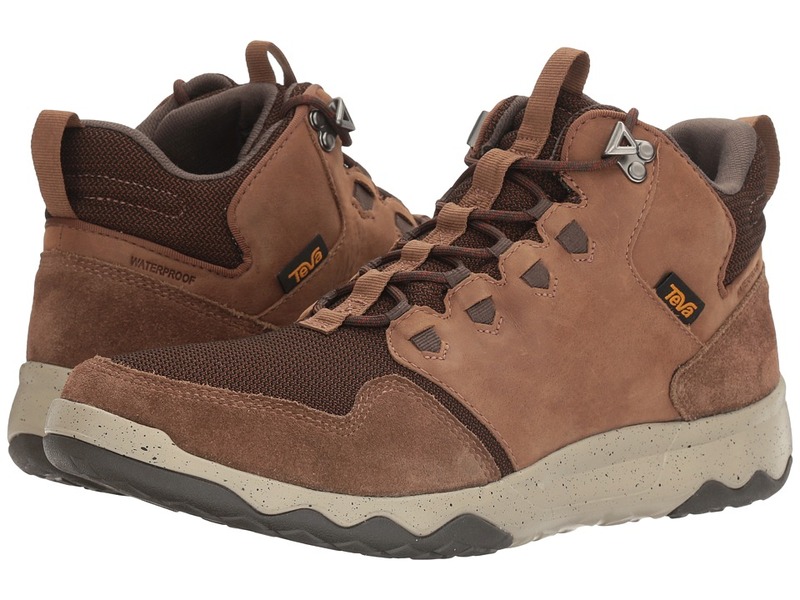 Bring style and function to your next walkabout in the posh design and adventure-seeking performance of the Teva Arrowood Utility Mid WP trail shoe. Waterproof construction helps feet stay dry and protected from outside moisture. Waterproof, full-grain leather uppers. Traditional lace-up closure with lace hooks at top. Rear pull loop. Padded tongue and collar. Breathable fabric lining offers a great in-shoe feel. Removable PU sockliner. Float-Lite midsole and outsole design provides featherlight, durable underfoot cushioning. Vibram rubber on the outsole delivers reliable traction right where it~s needed. Imported. Measurements: Weight: 1 lb 2 oz Product measurements were taken using size 11, width D - Medium. Please note that measurements may vary by size. Weight of footwear is based on a single item, not a pair. 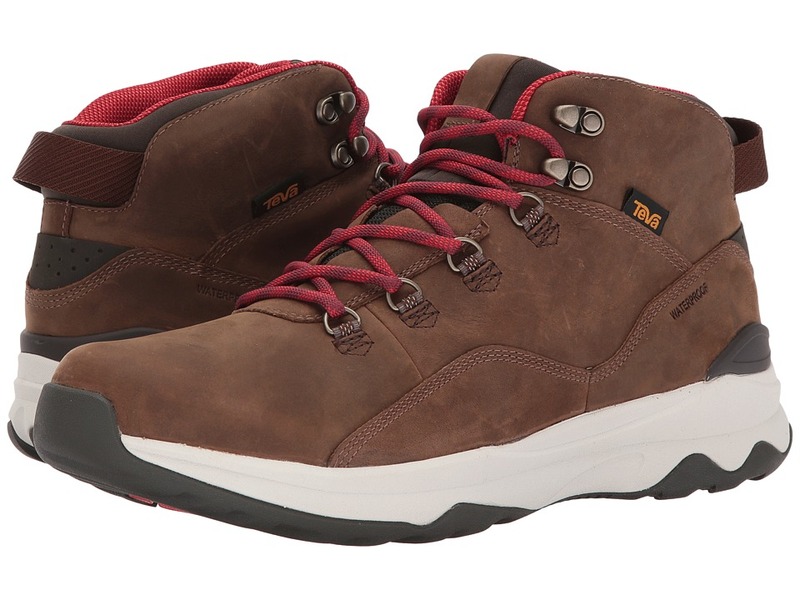 Get ready to reap the benefits of the ruggedly good-looking and durable Teva Arrowood Riva Mid WP hiking boot. 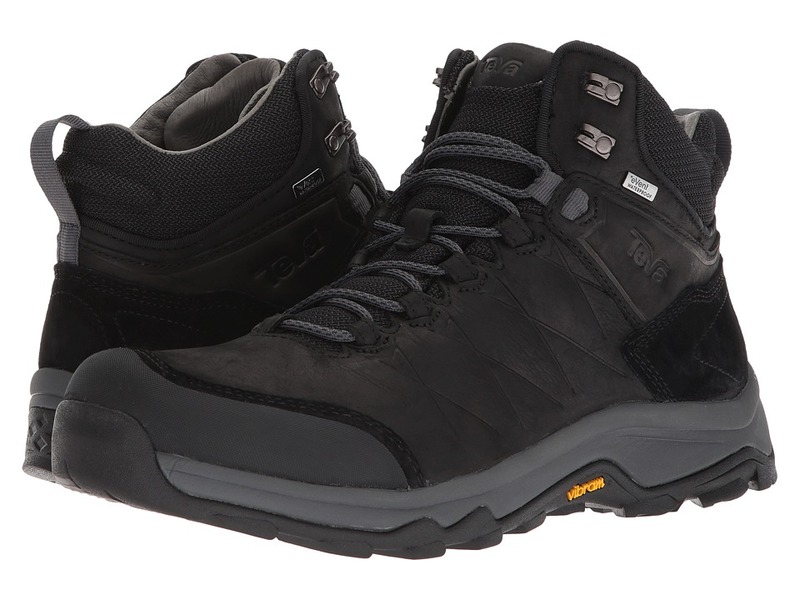 Waterproof construction helps feet stay dry and protected from outside moisture. 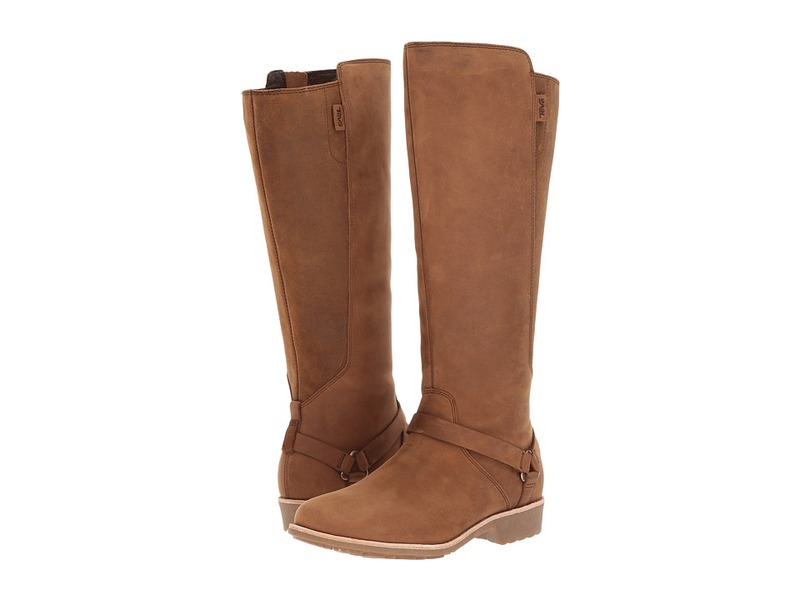 Full-grain waterproof leather and textile uppers. 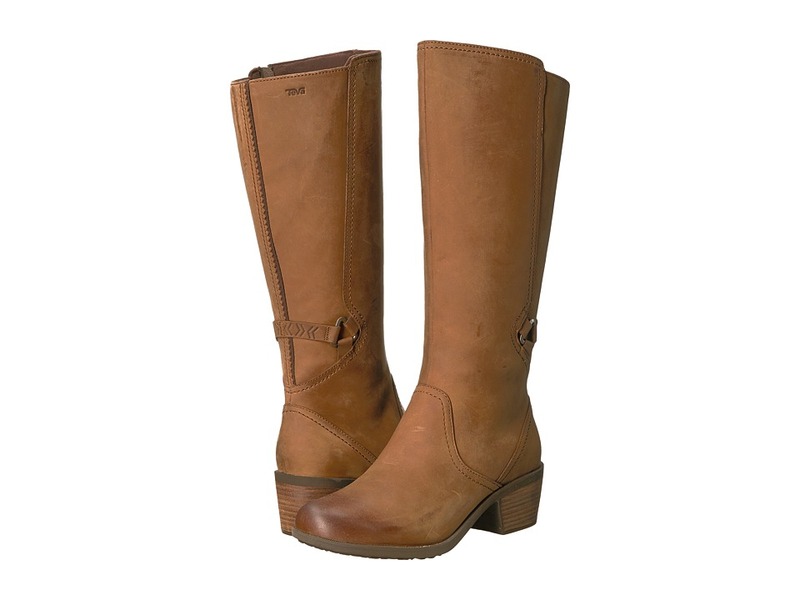 Mid-cut boot design provides added ankle protection. Rubberized toe cap for added durability and protection. Lace-up closure with heel tab. Padded tongue and collar. Breathable fabric lining. Cushioned and responsive PU sockliner. Float-Lite midsole and outsole design provides featherlight, durable underfoot cushioning. Durable nylon shank for added stability. Strategically-placed Vibram rubber on the outsole delivers reliable traction right where it~s needed. Imported. Measurements: Weight: 1 lb 3 oz Shaft: 4 1 2 in Product measurements were taken using size 11, width D - Medium. Please note that measurements may vary by size. Weight of footwear is based on a single item, not a pair.